Halloween is only about a month away, and so I am always on the lookout for festive ways to bring some of the season’s themes into our recipes and décor and everyday life. I found the most adorable pumpkin-shaped ice cube tray at Dollar Tree and I knew I had to have it, although I had no idea originally what exactly I would make with it. I also picked up these really chic paper straws at the Dollar Tree with a black and orange polka dot pattern. So I came home and stared at the ice cube tray for a bit and realized the ice cubes would look more like pumpkins if they were colored orange. And then I realized orange juice is orange! And so this recipe was created! 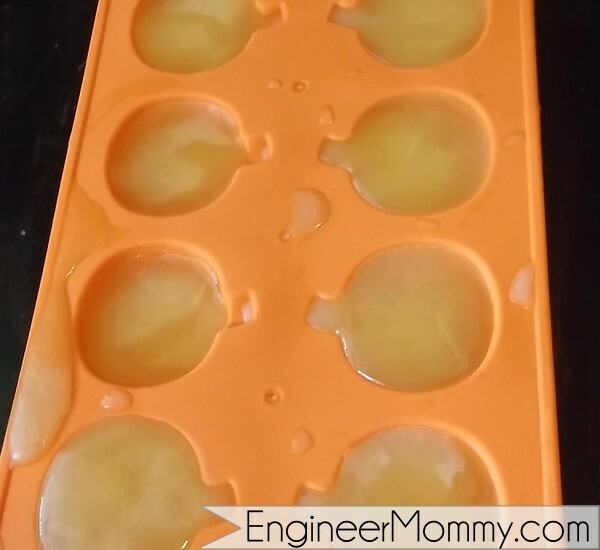 Freeze orange juice in an ice cube tray (use a pumpkin-shaped one for a festive Halloween drink). 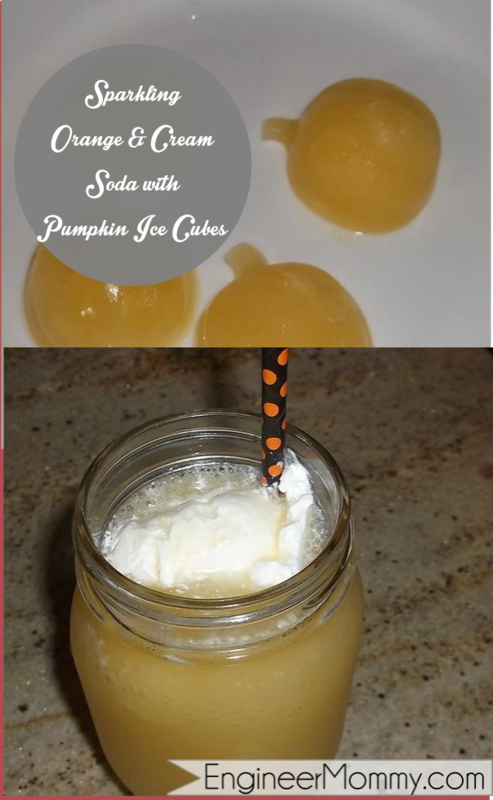 Combine the juice, seltzer and pumpkin spice in a glass filled with frozen orange juice cubes. Top with a big dollop of whipped topping, stirring a bit to combine.